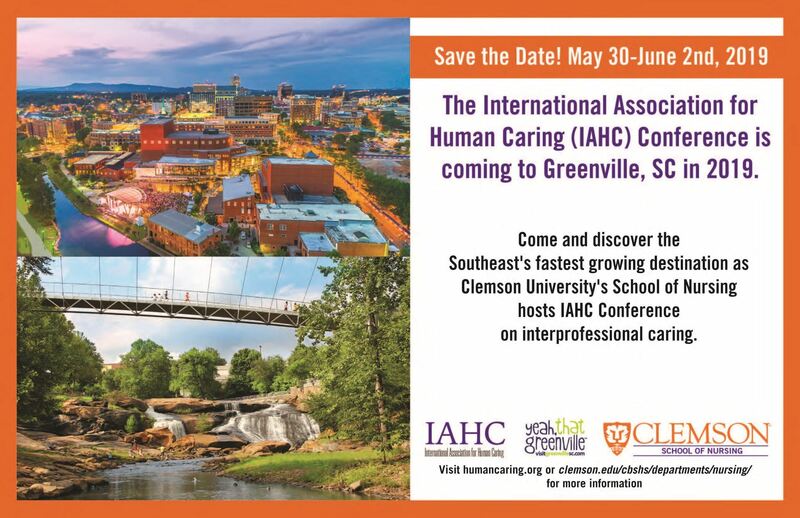 Early Bird Non-Member Registration, please consider joining IAHC to receive Membership benefits including the IAHC Journal and Conference Discounted Registration Rate. Non-Member Registration, please consider joining IAHC to receive Membership benefits including the IAHC Journal and Conference Discounted Registration Rate. (1) Reduced conference registration pricing is available to low resource countries based on the World Bank middle and low income status categories. Please check the World Bank website to determine individual country status https://data.worldbank.org/country to determine eligibility. (2) Full time student registration requires registratant to enter the discipline and school name. We recommend a donation of $20 but please donate any amount you are comfortable with. All financial awards are managed by the IAHC Scholarship and Awards Committee. The Greenville Health System (GHS) and Clemson University are collaborating to build a $31.5 million, 78,255-square-foot clinical learning and research building at the Greenville Memorial Medical Campus.